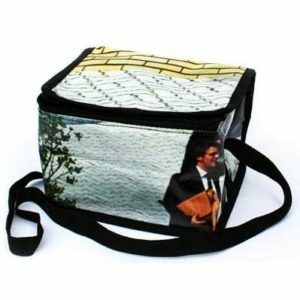 Our recycled cooler bags are made from waste PVC billboards and so they make fantastic eco friendly gifts. If a company gives away eco friendly gifts it helps them reduce their carbon footprint and it speaks volumes about their brand. 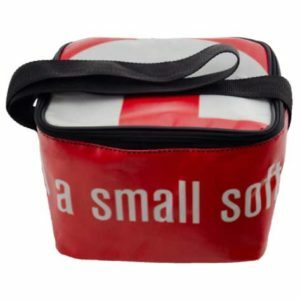 The cooler bags are all insulated and can be branded with a full colour logo or message. 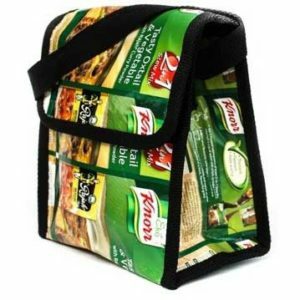 Each and every bag is unique in its look depending on what waste bill boards were used. 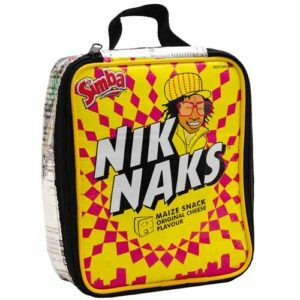 These billboard cooler bags can also be covered with shweshwe, other African fabrics or a fabric of your choice in order to change the whole look and feel. They come in four different designs. Made in South Africa from recycled PVC billboards. With carry handle and piping. Insulated. Made in South Africa from recycled PVC billboards. With carry handle and binding. Insulated. Made in South Africa from recycled PVC billboards. Velcro closure and small carry handle. Insulated. Made in South Africa from recycled PVC billboards. Zippered closure and small carry handle. Insulated.